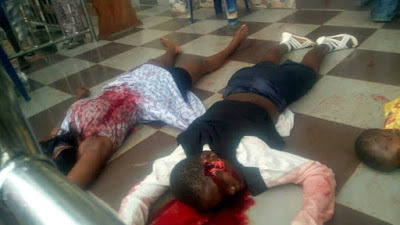 Ekiti state governor, Ayodele Fayose has decried the senseless massacre of the worhsipers at St Philips church Anambra state. 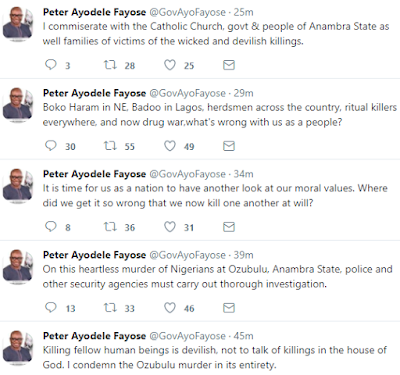 Fayose who too to his Twtter handle to send his condolence to the people and government of Anambra state, expressed his feelings in an emotional message. In one of the tweets, he questioned: "what is wrong with us as a people?" I will say again, it seems we've lost value for human life, God will deal with you all.